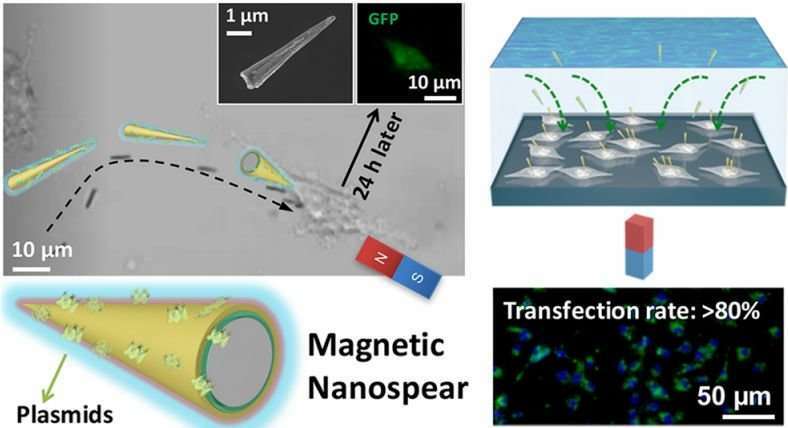 To overcome these barriers, Weiss and Dr. Steven Jonas, a clinical fellow in the UCLA Broad Stem Cell Research Center Training Program, led a research team that designed nanospears composed of silicon, nickel and gold. 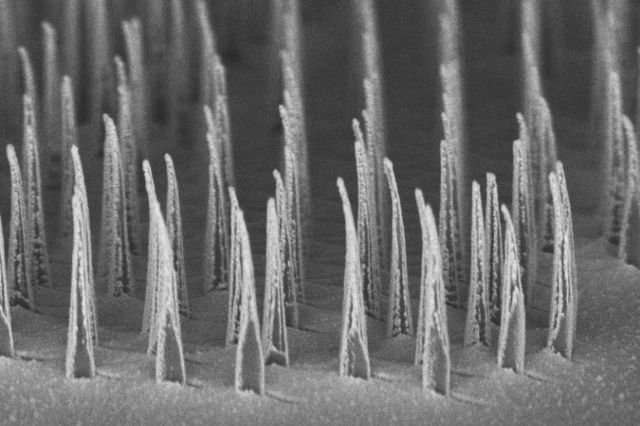 These nanospears are biodegradable, can be mass-produced inexpensively and efficiently, and, because of their infinitesimal size—their tips are about 5,000 times smaller than the diameter of a strand of human hair—they can deliver genetic information with minimal impact on cell viability and metabolism. Much like gene therapy, many forms of immunotherapy—a process in which patient-specific immune cells are genetically engineered to recognize and attack cancer cells—rely on expensive or time-consuming processing methods.